Cinzia Raffin – Psychologist and Psychotherapist. Already associated with research at the Centre for Systematic Family Therapy and Research in Milan, she has been working in the field of Autistic Disorders for the last ten years, looking in particular at new models of total care and innovative programmes of structured training at the not-for-profit Children and Autism Foundation where she is the President and scientific Director. Davide Del Duca – Literature graduate, who subsequently specialised in fund-raising with a Masters in Fundraising for Non-profit organisations and local Authorities at the University of Bologna. 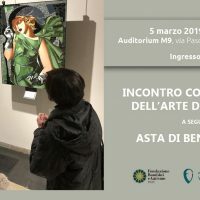 He is the co-founder, with Cinzia Raffin, of the not-for-profit Children and Autism Foundation where he, previously, followed all its developments as its President and, at present, does so as its General Manager. Giuliana Prata – Psychiatrist. A Medical graduate who specialised in Psychiatry in Milan, she was a co-founder and director of the New Centre for Family Studies and, subsequently, the Centre of Systematic Family Therapy and Research in Milan. She is currently the Health Manager for the Pordenone site of the not-for-profit Children and Autism Foundation. Renzo Malvicini – Pediatrician. He worked at the Civil Hospital in Fidenza for many years, and then from 1996 to 2004 was the Manager of the Pediatric Service there. He is currently the Health Manager for the Rehabilitation Centre at the Fidenza site (PR) of the not-for-profit Children and Autism Foundation. Paola Mattioli – Professional Nurse. 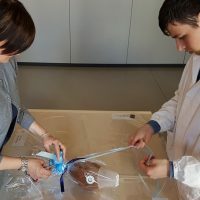 After having worked for 13 years at the Fidenza Civil Hospital and then having specialised in the field of autism at the Pordenone site of the not-for-profit Children and Autism Foundation, she was involved in the Operational Centre in Fidenza from its outset, which she contributed to creating and which she presently manages. Takes care of the Administration for the not-for-profit Children and Autism Foundation. She manages the front office and collaborates in the organisation of external – cultural and training events for the Organisation. Odette Copat – Political Science graduate. Responsible for obtaining the UNI EN ISO 9001:2000 Certificate for the various services offered by the network, then subsequently, as Quality manager, looking after the maintenance and expansion of the new services. Within the Foundation she is also responsible for planning and communication as the External Relations manager. Antonella Milan – Psychologist. Expert in the diagnosis and functional evaluation of people with autism, a field which she has gained notable experience in, having conducted hundreds of evaluations. She works within the not-for-profit Children and Autism Foundation as the Diagnostic Service manager. Emanuela Sedran – Educationalist, International ADOS and ADI-R Trainer recognised by the UMACC (University of Michigan Autism and Comunication Disorders Center). Member of the diagnostic and rehabilitation team of the not-for-profit Children and Autism Foundation, she has dedicated the last few years in particular to Autism in adults as the Manager of the "Art Workshop" Daily Working Centre and the "Live the City" Programme, the Foundation’s occupational and temporary residency Services. Leonardo Zoccante – Senior Manager at the Infant Neuropsychiatry Service and Manager of the Generalised Development Disorders Laboratory at the G.B.Rossi Hospital in Verona, as well as lecturer at the University of Verona, he collaborates with the not-for-profit Children and Autism Foundation as a Neuropsychiatrist. Giulia Caldi – Psychologist. Has acquired long experience in the field of autism and in particular in social and school inclusion, at schools of all levels, for children and young people with Autistic Disorders. She is the manager of the "Respite Programme" for the not-for-profit Children and Autism Foundation and member of the diagnostic team. Sara Bellinazzi – Professional trainer. Expert in educating children and young people with autism, she has taken part in the planning and implementation of educational Projects in countless cases. She works within the not-for-profit Children and Autism Foundation as the Educational Service manager at the Fidenza site. Alessio Testi – Psychologist and Psychotherapist. 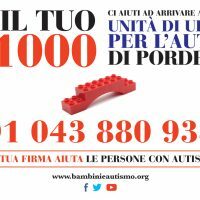 Diagnostic Service Manager of Fondazione Bambini e Autismo Fidenza branch, as well as member of its rehabilitation team. He has followed and follows numerous cases of autism in particular in childhood. Davide Shaer – Mosaic Craftsman. Trained at the Friuli Mosaics School, he works full-time at the Art Workshop – the working centre for the not-for-profit Children and Autism Foundation which is dedicated to adults with autism – side-by-side with these people within the mosaics Laboratory and working with therapeutic operators in implementing working programmes. The Team of operators – the team of therapeutic operators working within the not-for-profit Children and Autism Foundation for the implementation of the Total Care Projects is made up of Psychologists, Trainers, Speech Therapists and Social-Health Workers. Each member of the team underwent specific training on Generalised Developmental Disorders prior to starting work in the field. The team is supported, as far as regards implementing the working Programmes for adults with autism, by technicians and professionals such as mosaic craftsmen and women and multi-media operators. The group of volunteers – various volunteers, who offer differing levels of help, work at the not-for-profit Children and Autism Foundation. The volunteers who work to support the clinical personnel, for instance during the "Respite Programme", have in turn, received training on the subject of autism. Other volunteers work to support the Administrative office or External Relations during the organisation of training, cultural or free-time events, others to help the educational-rehabilitation Service by collaborating with the creation of personalised training materials for each user.